I normally don't operate my trains much in reverse. That said, it is nice to be able to reverse an engine to assist in recoupling cars that became decoupled, or for parking a train. The normal American Flyer e-unit that cycles between forward and reverse isn't the greatest when trying to use control systems. 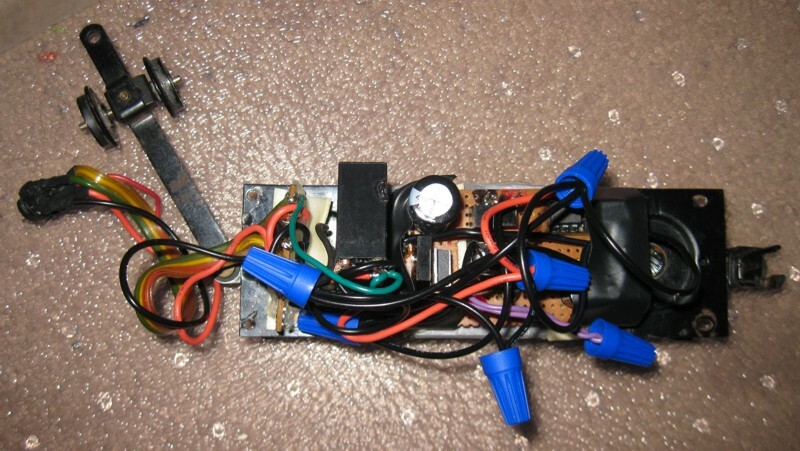 DC makes reversing easy, but you need a seperate transformer to make action cars work. One solution to this problem is to have the train run forward on ac current, and backwards on dc current. The circuit below does this, but imperfectly. At low DC voltages, there isn't enough voltage to energize the relay, so the train still creeps forward. This means one has to quickly set the speed to some minimum ("40" on a 4B transformer) when travelling in reverse. I do not suggest operating trains in reverse for extended periods of time using this circuit because it uses a half-wave rectifier in reverse that I'm sure the transformer wasn't designed for. Because the "Base Connection" connects directly to the track (only the variable voltage output switches between DC and AC), action cars will work normally. Here is an improved circuit that uses Darlington Transistors in an H-Bridge configuration to control the polarity of the field. This design works as intended. The only thing I'm still concerned about is the potential for excessive heat generation (the Darlingtons have about a 1 volt drop across them). We will see how this circuit works this coming holiday season. Here is another FET based H-Bridge AC/DC Reverse unit. This one uses 4 N channel FETs and only changes the polarity of the field. 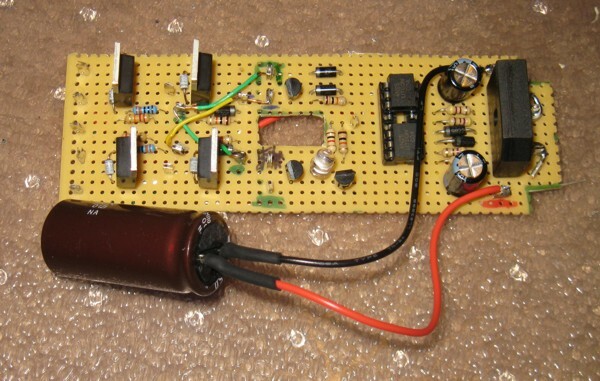 Does not need two rectifiers and avoids the resulting 1.4 volt voltage drop. Works well for single engine diesels and steamers. 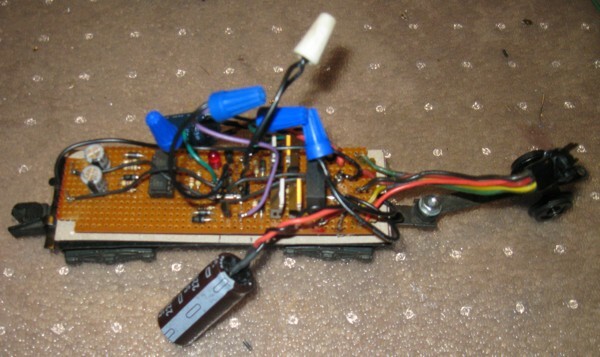 For AC only layouts and AC-DC layouts (using the AC-DC Control Switch circuit below), action cars will work as intended since the base rail is always connected to the base on the transformer. 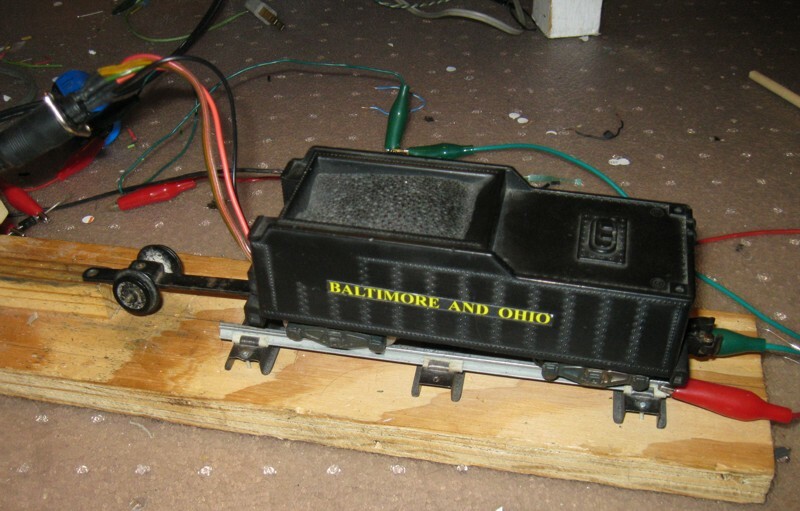 For DC layouts, to make action cars work, one will need a second transformer with its base terminal connected to the base rail.